Manchester United’s Russian assignment proved as tough as expected, but Henrikh Mkhitaryan’s strike on Rostov’s quagmire pitch could prove crucial after the first instalment of this Europa League last-16 encounter ended in a credible draw. As if a 3,750-mile round trip was not enough, United were greeted by a surface so poor that Jose Mourinho wanted UEFA to call the first leg off – a request that unsurprisingly fell on deaf ears. The wretched Olimp-2 stadium surface made a difficult trip all the harder, with Aleksandr Bukharov cancelling out Mkhitaryan’s first-half strike to leave the score at 1-1 ahead of next week’s return leg at Old Trafford. Mourinho’s frustration at being pegged back by Rostov – a side that have beaten Bayern Munich and Ajax at home this season – will likely be tempered by the relief of seemingly avoiding injuries on this pitch. It led to a tense, scrappy affair in windy southern Russia, where Mkhitaryan opened the scoring from a smart Zlatan Ibrahimovic cutback after 35 minutes. Rostov upped the ante after the break buoyed by Bukharov’s equaliser, having peeled off Phil Jones, but United’s hardy 238 travelling fans saw their side dig deep to secure a draw. 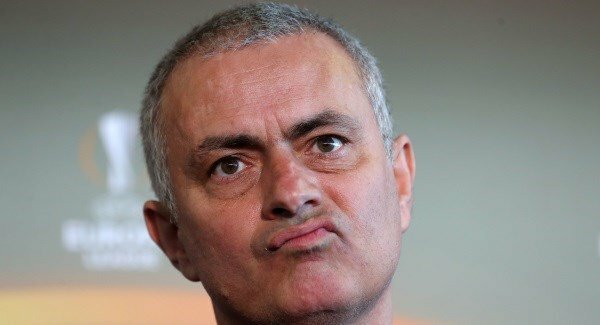 Mourinho plumped for a three-man defence after stewing on his team selection overnight once he had seen the state of the Olimp-2 surface first-hand. Plumes of sand sprung up whenever a foot was planted or challenge made, with the wind whipping around the stadium and rock-hard surface making the ball hard to read. Little surprise then that the first half was a period of few opportunities, with both defences going taking a no-nonsense approach at the back. Tempers frayed as challenges went in and players hit the deck, with Vladimir Granat forced off after one duel with Mkhitaryan. It was as innocuous as the one that saw the Armenian booked for catching Fedor Kudryashov with his arm, and also the yellow card Aleksandr Gatskan received for a challenge on Ibrahimovic that rules the Rostov captain out of the return leg. Play was fractured and tense, only for a rare moment of quality to bring with a 35th-minute opener. Marouane Fellaini followed impressive control on the left flank with ball to talisman Ibrahimovic, whose intelligent cutback from the byline was turned home by Mkhitaryan as the ground fell silent apart from the pocket of United fans and the coaching staff. Christian Noboa and substitute Denis Terentyev had attempts to level before half-time, from which United returned with intent as Ibrahimovic and Ashley Young tried their luck. Rostov had created precious little but prised open United’s defence in the 53rd minute. Timofei Kalachev sent over a smart, clipped ball to Aleksandr Bukharov, with the striker peeling away, controlling and turning past Romero to send the sell-out crowd wild. Phil Jones was caught napping by a Rostov side playing with new-found confidence, with Aleksandr Erokhin missing before a Cesar Navas half chance. Kalachev received a booking that will see him join Gatskan in missing the second leg, before the right-back, who had a frank exchange with Mourinho, missed the target as Rostov chased a famous winner. Marcos Rojo smartly stopped substitute Sardar Azmoun breaking and in stoppage time United could have snatched a winner, with Fellaini’s header across goal just evading Anthony Martial.